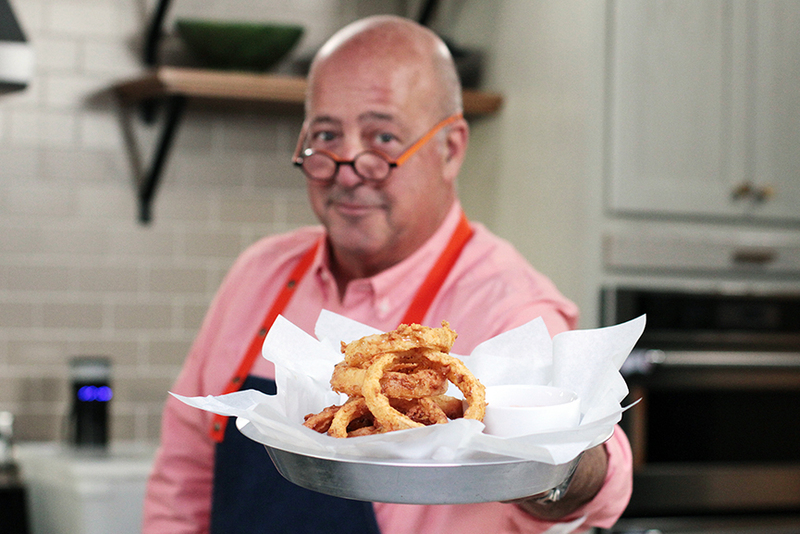 With a light and crispy batter, these buttermilk fried onion rings are a perfect snack for America’s biggest food holiday, Super Bowl Sunday. It’s a classic Southern-style recipe, with an extra flavor boost from the fennel, paprika and hot sauce. Make sure your oil is up to temperature while frying and you’ll end up with the crispy, crunchy onion rings of your dreams. Cut the onions into roughly 3/4-inch thick slices. Separate the slices into rings, reserving the smallest inner rings for another use. In a large heavy pot, heat oil to 375 degrees F.
In a mixing bowl, whisk together the eggs, buttermilk and hot sauce. In a separate bowl, whisk together the flour, fennel seed and paprika. Season well with salt and pepper. 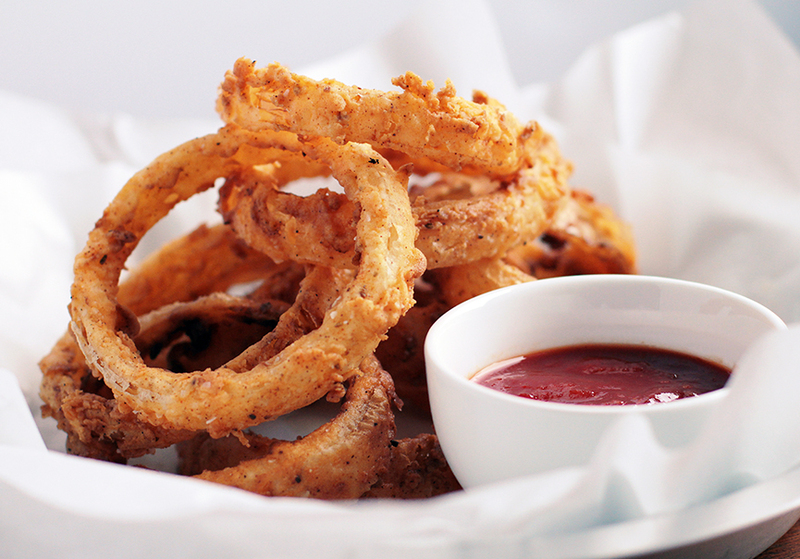 Working in batches, dip the onion rings into the seasoned flour, shaking off any excess. Dip into the egg wash, again allowing the excess to drip off. Dip the rings back into the flour and place in the hot oil. Fry for 3 to 4 minutes, until golden brown. Let rest on a paper towel and season with sea salt. Repeat until the onions are done.